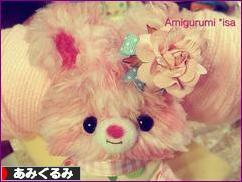 Jumbo size cute Alpaca (50cm) has sparkling ribbon on them, making this collection fun dazzling! She looks like a ballerina wearing a skirt of lace using the fluffy fabric! Soft and fluffy! It is very cute! You can choose from all five colors! Collection will release in Mid-July. Alpaca become adult! ^^ Fluffy fur material and they actually can stand up and tall waiting for you to play with them! ^___^ Oh, each one is carrying different candy/bow on their neck! Chose your favorite from four colors. Collection will be released on Mid-Aug. 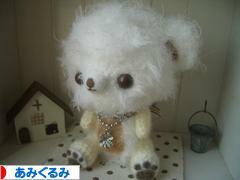 Cute Alpaca tumble doll, something different from the usual alpaca line. Has eight beautiful pastel colors that you can chose from. This collection will be released in Japan in Mid-Aug. 🙂 Aren’t you want to get one? I know I do!! Amuse have more items scheduled to be released later…so I will wait till next month then give you the update ^_^ I’m very excited to see so many cute alpacas are coming out, wooo~~ this is great! I am preparing Pre-Order information and if you are interested please send me a note so I can give you the quote. Since I have changed my vendor, so price should be good. When sending pre-order inquiry, please put “Pre-Order” on subject so I can reply you as quick as possible. Okie, hope you are as excited as I do! ^_^ Thank you for reading and have a great weekend! !